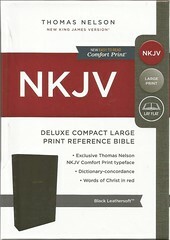 All four text editions of the NKJV Bible. 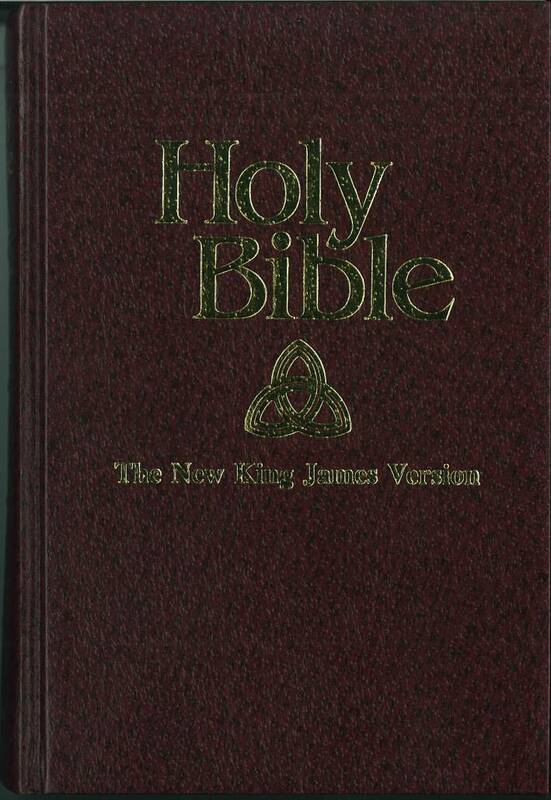 References: Chamberlin p. 51-2, Taliaferro-EELBV 8215.100. Comments: Hardback octavo, VIII & 408 pp. 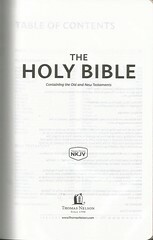 Scripture text in double column, paragraph headings; references to the OT and few word explanations in footnotes. 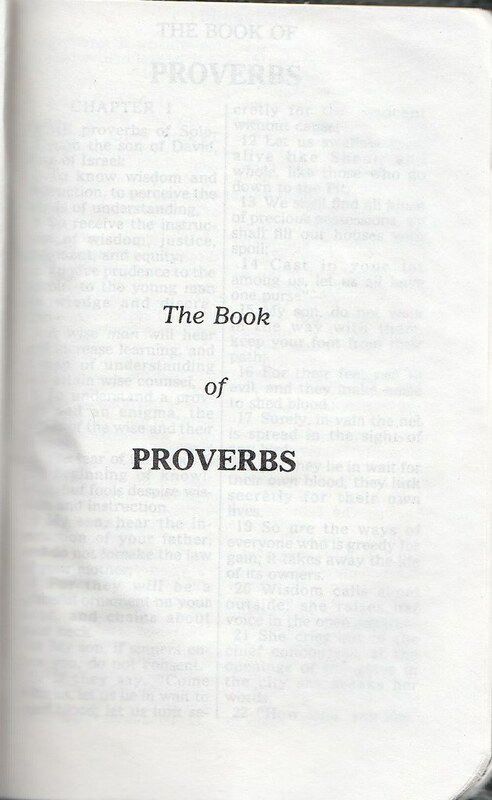 Words of Christ in red. 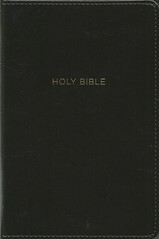 Contents: New Testament. 3 pp. Introduction to the translation and it‘s history. Comments: Paperback octavo, VIII & 408 pp. 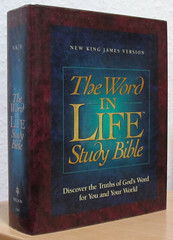 Scripture text in double column, paragraph headings; references to the OT and few word explanations in footnotes. 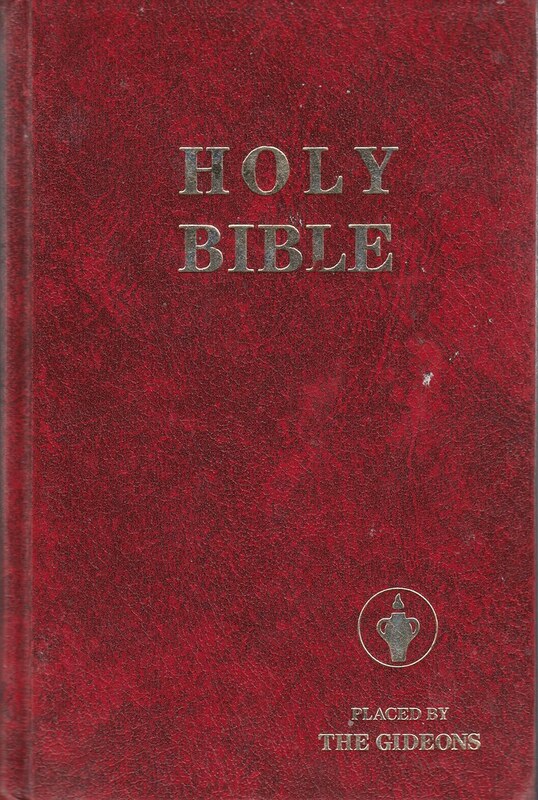 Words of Christ in red. 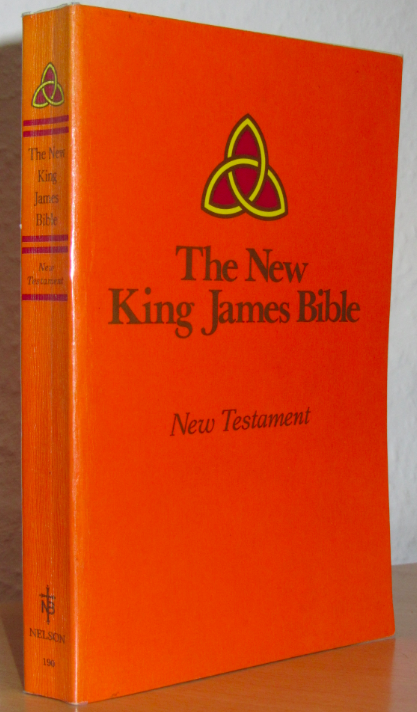 Apparently the first edition of the New King James Version New Testament was published in both hardback and paperback editions. 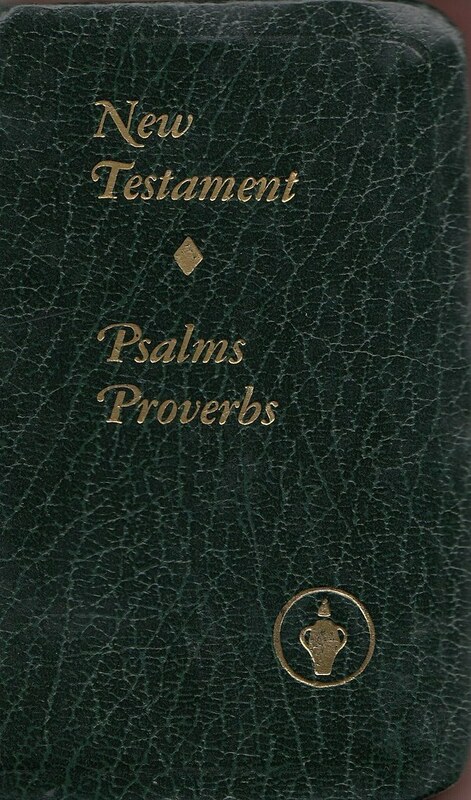 Contents: New Testament & Psalms. 3 pp. 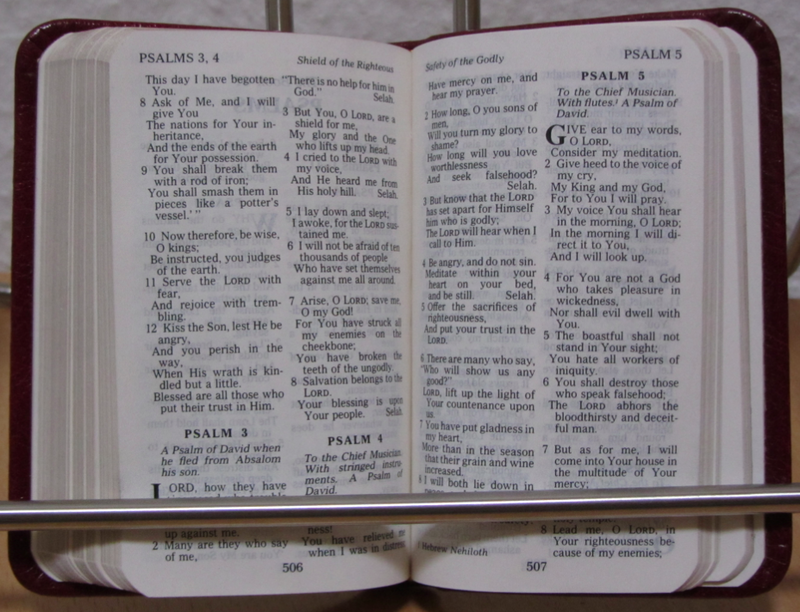 Introduction to the translation and it‘s history; the Psalms translation has newly been introduced. Comments: Leatherbinding, 32mo, X & 660 pp. 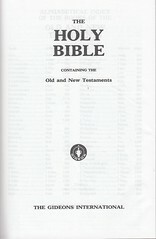 Scripture text in double column, paragraph headings; references to the OT in footnotes and few word explanations in footnotes (some more than in the 1979 ed). 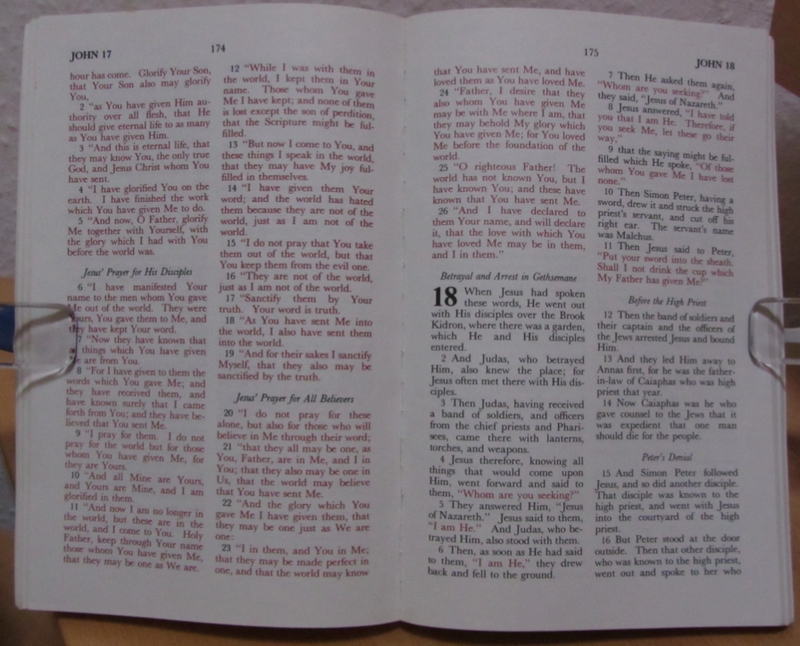 Words of Christ in red. References: Chamberlin p. 51-2, Taliaferro-EELBV 8215.110. From left: ❶ R.A.V. Complete British ed. 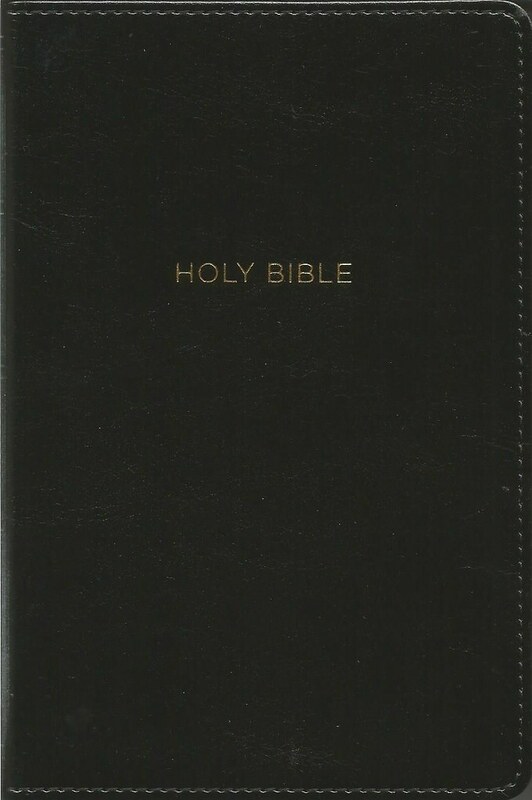 1982; ❷ NKJB revised 1984 ed. 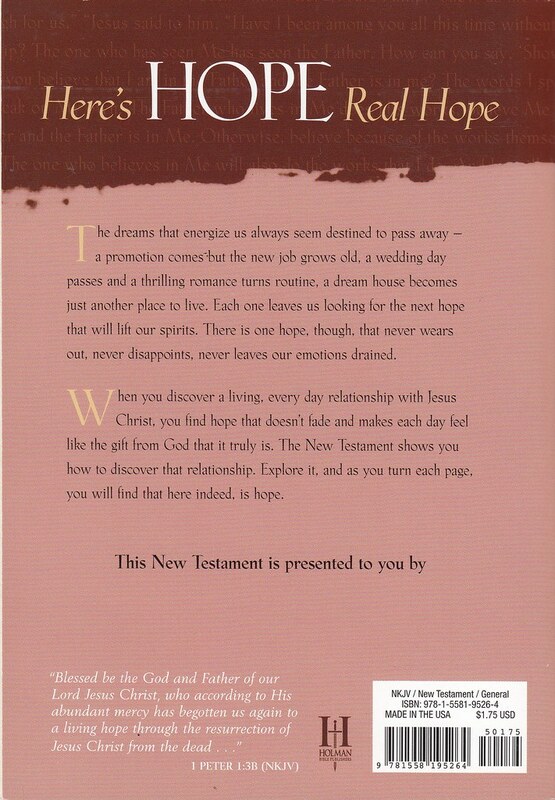 ❸ NKJB New Testament 1st ed. 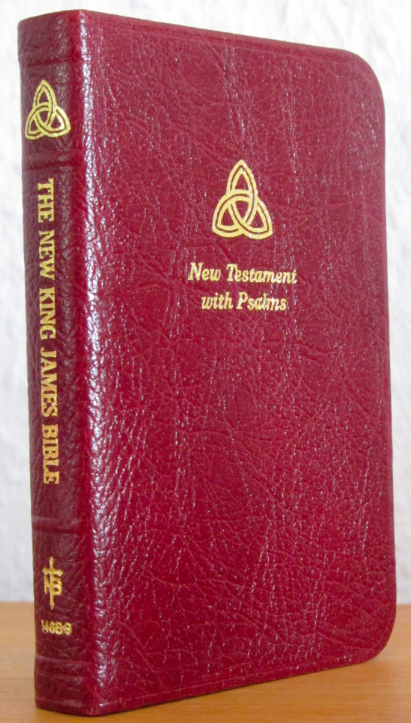 1979 ❹ NKJB NT & Psalms 1st ed. 1980. 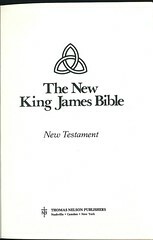 The seventh revision of the 'Authorized Version', born in the U.S. and named 'New King James Version' (NKJV), started its career as a complete Bible in 1982. As the A.V. 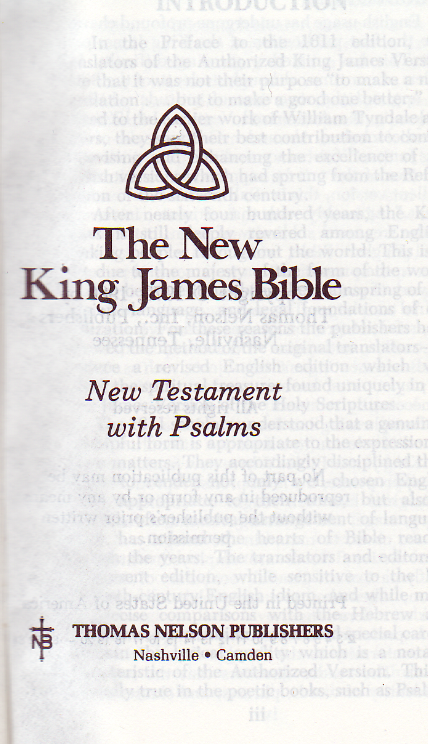 originated in England, it was only natural to bring the 'NKJV' back to its cradle. 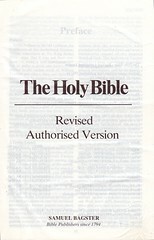 Not being content with its American designation, the publishers tried to make it 'British' and arrived at the term "Revised Authorised Version" (R.A.V. ): The famous Glasgow printer R. L. Allen claimed for himself to have been responsible for this christening. 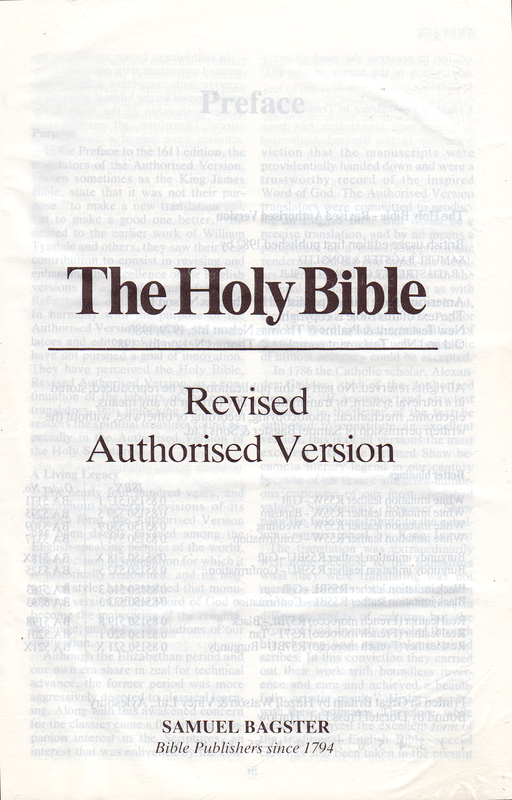 But obviously the Bible readers on the British Isles disliked this "new" Revised A.V. greatly, consequently this version found no acceptance. The name R.A.V. 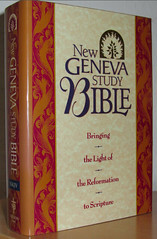 was discontinued after seven or eight years in the late 1980s, but even after its American designation »NKJV« had been retained by the British Bible Society, who owned the U.K. copyright after Marshall Pickering (Samuel Bagster imprint) had given it up, the resurrected 'NKJV' never really took hold in the U.K. Under its former British designation R.A.V. it now could turn out to become a collector's item. 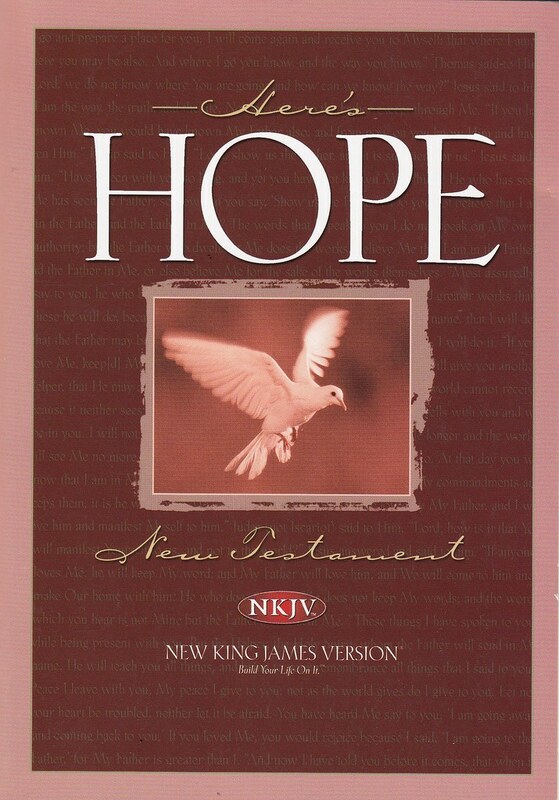 Though there's no difference translation-wise, there's definitely one as regards the spelling: the capitalization of the personal pronouns and the titles of dignity referring to God in the OT (with exceptions) and Christ in the NT that the NKJV exerts throughout and which even the AV / KJV didn't afford (!) 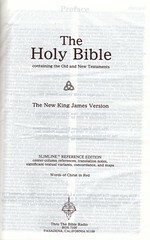 - let alone the Greek koine - are taken back in the R.A.V., for example in Hebrews ch. 5 »High Priest« vs. »high priest« etc, (the capitalization of »Son« in Hebr. 5:5 etc. being an exception). 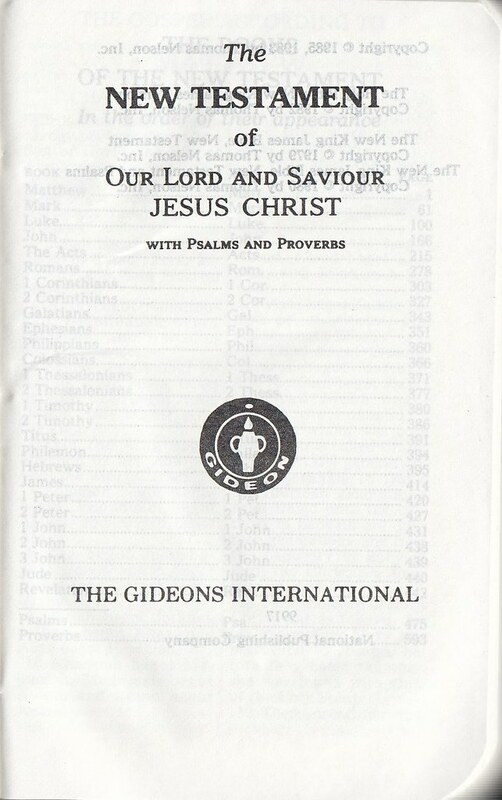 Not quite solved is the question whether or not the 1984 small revision (e. g. in Zechariah 13:6 »What are these wounds in your hands?« (1982) against »What are these wounds between your arms« (1984f) was also incorporated in the anglicized RAV- edition. More clarifying information on this topic, e.g. on the date when the name 'RAV' was discontinued, are highly appreciated! 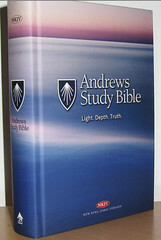 Contents: Protestant Bible with Preface (5 pp). Comments: Hardcover boxed, octavo, VIII, (4) & 1220 pp. 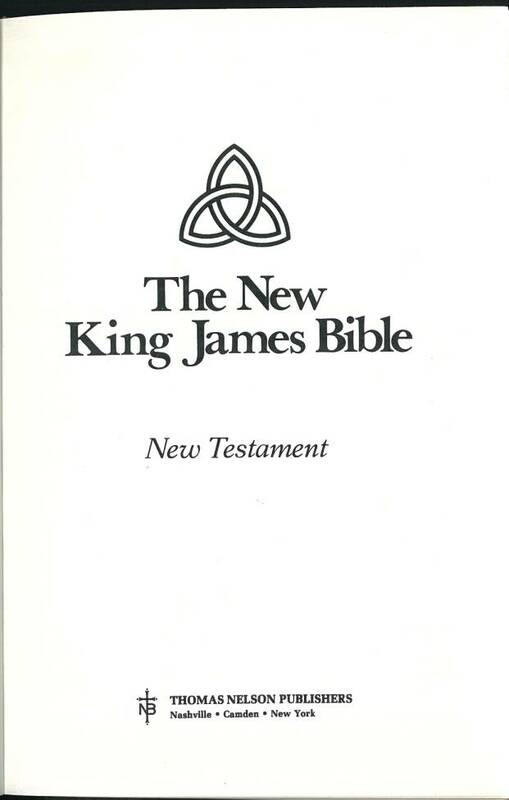 - Scripture text in double column printed verse-wise, alternate readings, brief explanations and references to the Old Testament in the footnotes; within the New Testament alternate readings of the Majority- Text and the Nestle/ UBS- variant (NU) presented throughout. 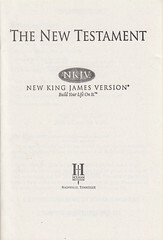 The preface is not identical to the American original (of the NKJV), but has been adapted to its presentation in Britain; The original American name “NKJV“ is not mentioned. Unfortunately the »Foreword« (not Preface!) 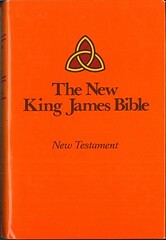 to the early editions (pre-1984) of the NKJV has not been included. 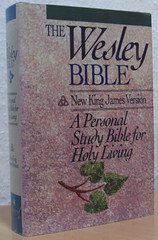 Contents: Protestant Bible. 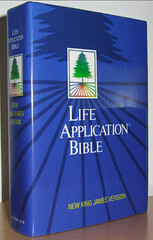 "Slimline reference Edition", center-column references, translation notes, significant textual variants, concordance, and maps. 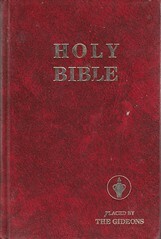 Word of Christ in Red. 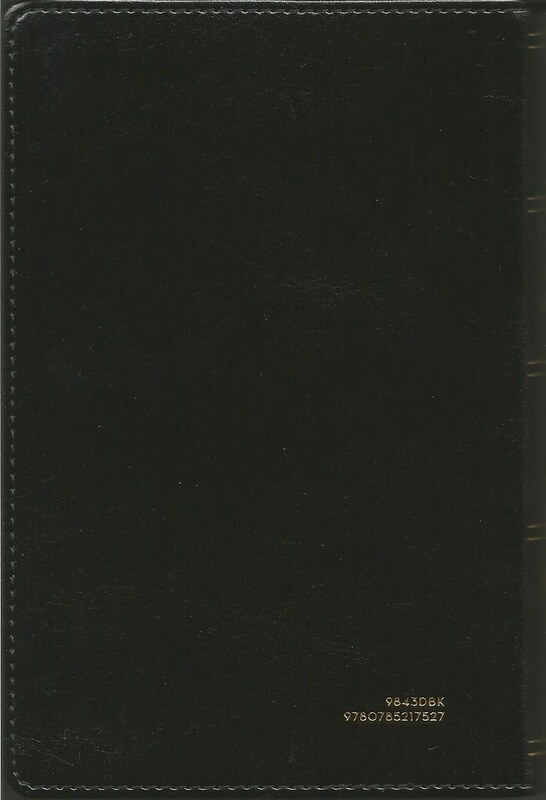 Comments: Octavo leatherbound; XII, & (22) pp Guidelines by J. Vernon McGee ; OT up to p. 845 , & (6) pp. Intro to NT; NT up to p. 1102 & (9) pp. 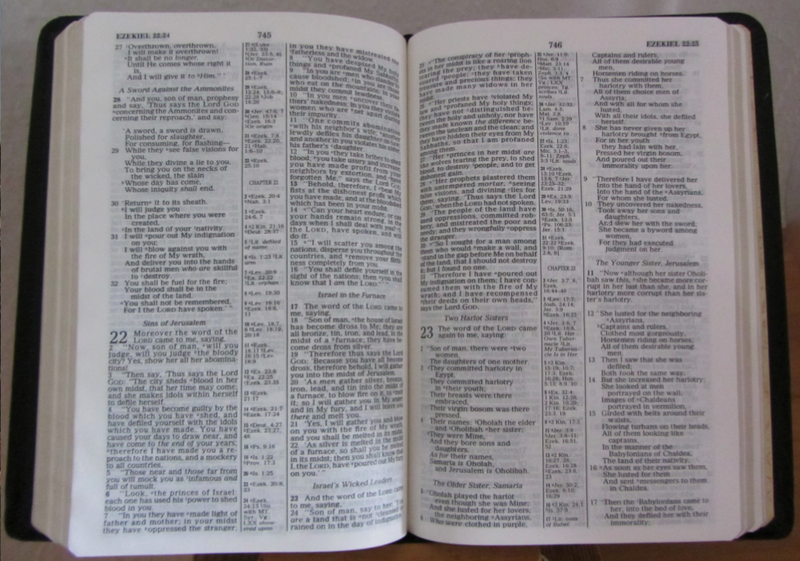 How to Study the Scriptures & 66 pp Concordance. 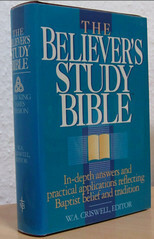 This version has the revised 1984 text (see R.A.V. entry above). 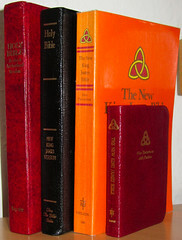 The four paged Preface deals, as in all NKJV Bibles, extensively with the legacy and translation methods of this Holy Scriptures. 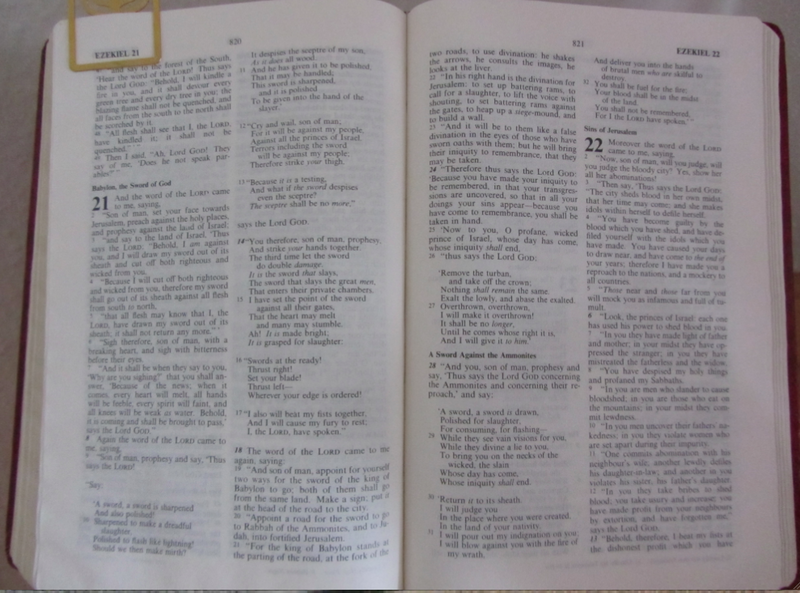 Bible Text in double column with cross references in center. Additional Introductions to all 66 Books. Date: © 1985, 1983 by Thomas Nelson, Inc. 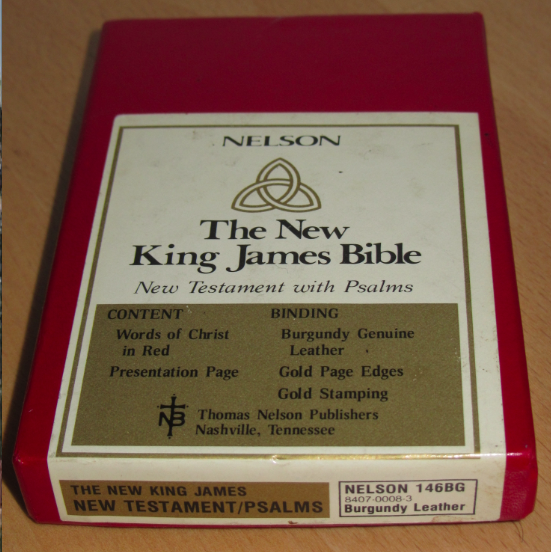 Comments: According to The Deseret News, the Gideons started using the New King James Version in 1986. 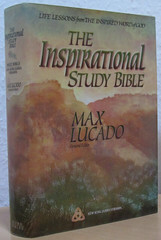 Comments: This edition contains annotations and page numbers in Romans that explain the Romans road to salvation. 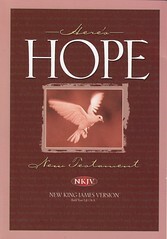 These helps cover Romans 1:16, 2:4, 3:23, 5:8, 6:23, 10:9-10 and 10:13. 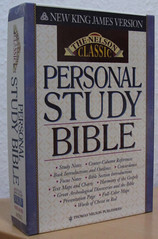 This edition is also available in New International Version and Christian Standard Bible editions. 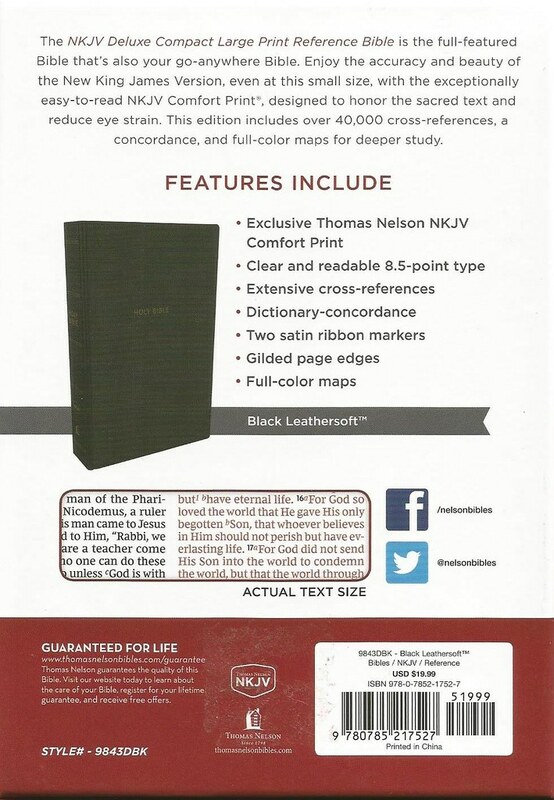 Comments: According to the publisher, comfort print is designed to offer a "clear reading experience that allows your eyes to flow smoothly along each line of text so you can take in more of God’s Word". 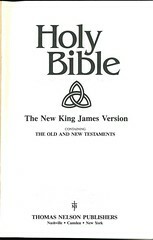 It is also available in the New International and King James versions. More details can be found on Thomas Nelson's website. 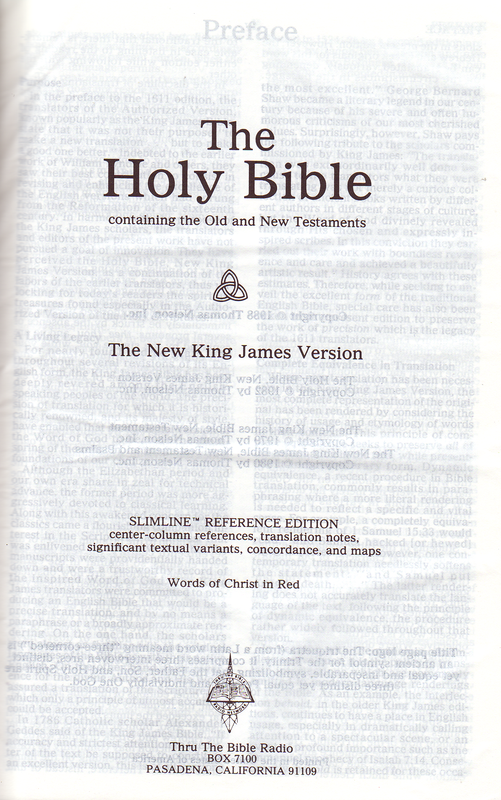 The New King James Bible is not a new translation, but a revised and improved edition of an old one: the Authorized Version or, King James Version of 1611. 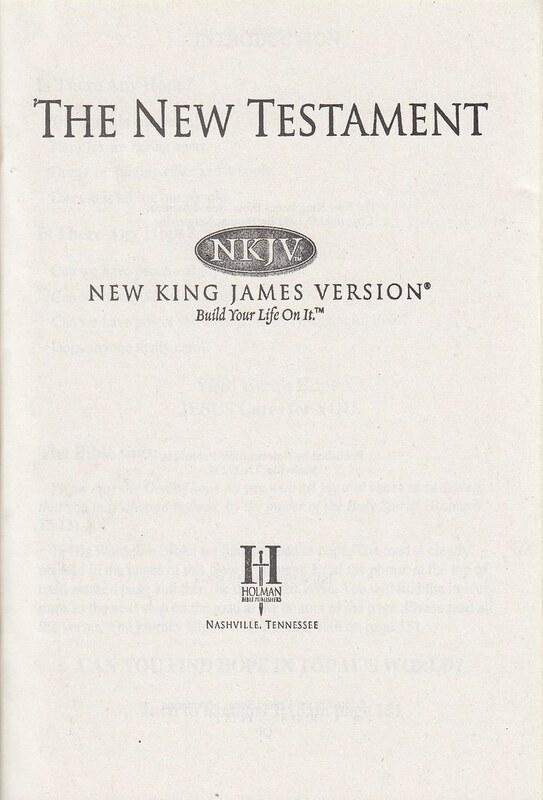 The advent of the NKJV didn't mark the first revision of this AV/KJV, but the seventh. ☞ The 1614 ed. contained more than 300 differences. ☞ In 1629 Cambridge University Press published a further revision. 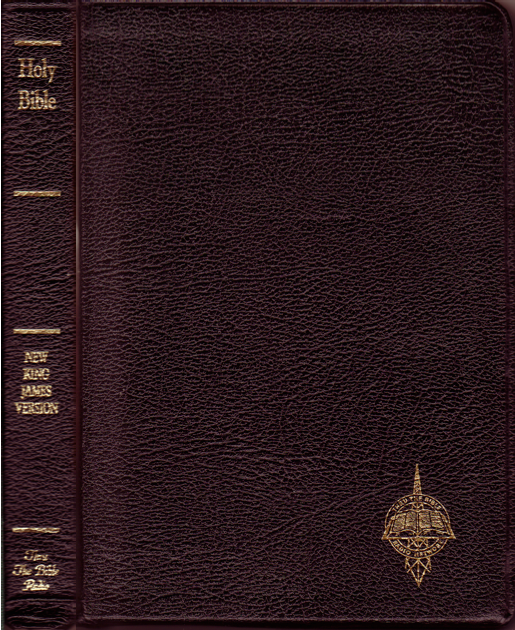 ☞ In 1738 an attempt was made to produce an "authentique corrected Bible". ☞ In 1675 John Fell corrected the spelling. ☞ In 1762 Thomas Paris of Trinity College, Cambridge, launched an extensive revision. 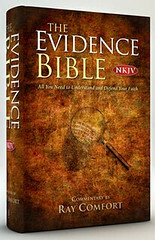 ☞ In 1769, after nearly four years of extensive research, Dr. Benjamin Blayney, Oxford, had it's new version published. This 1769 ed. 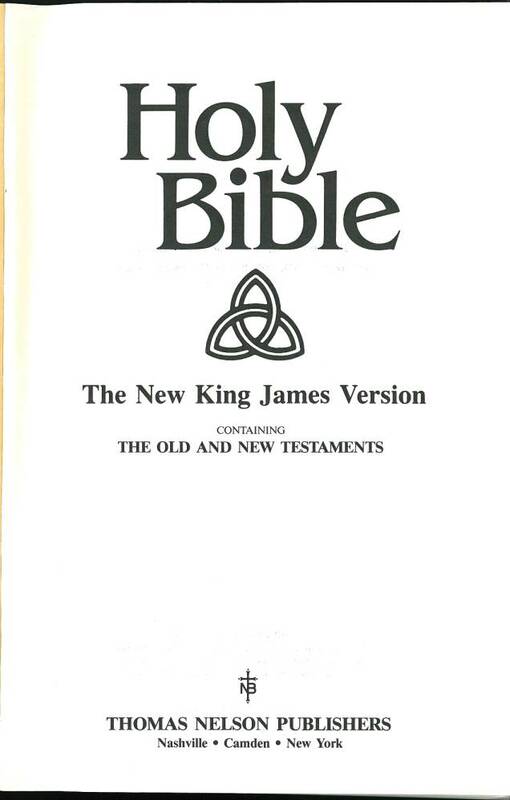 contains the text being used in the vast majority of todays KJVs/ AVs; the one exception being the "Cambridge Paragraph Bible". 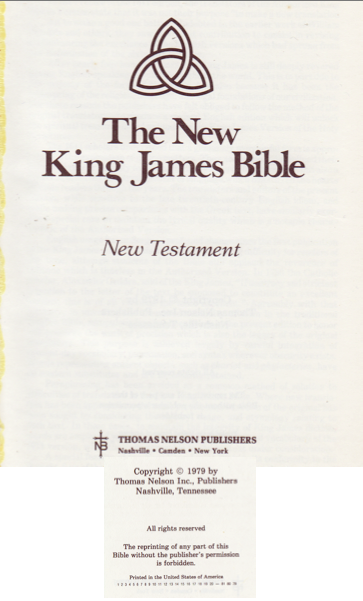 ☞ In 1979, after four years of work, the NKJV New Testament was released from Thomas Nelson (founded Edinburgh, Scotland in 1798). 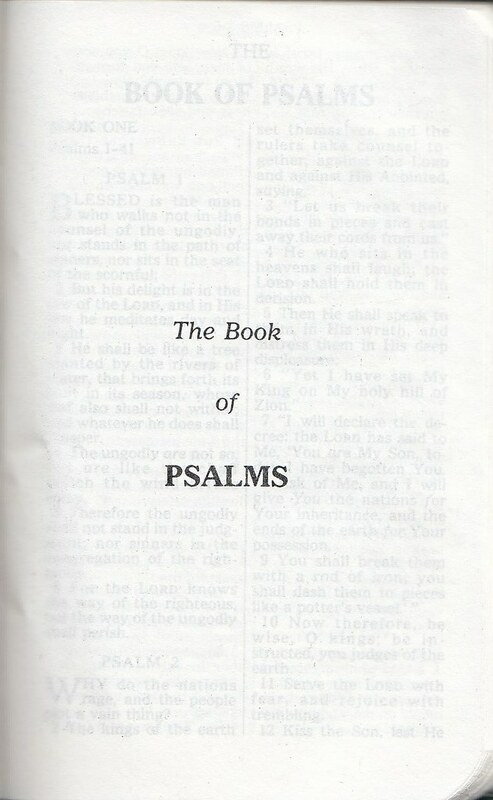 The Psalms followed a year later, 1980, printed together with the NT. 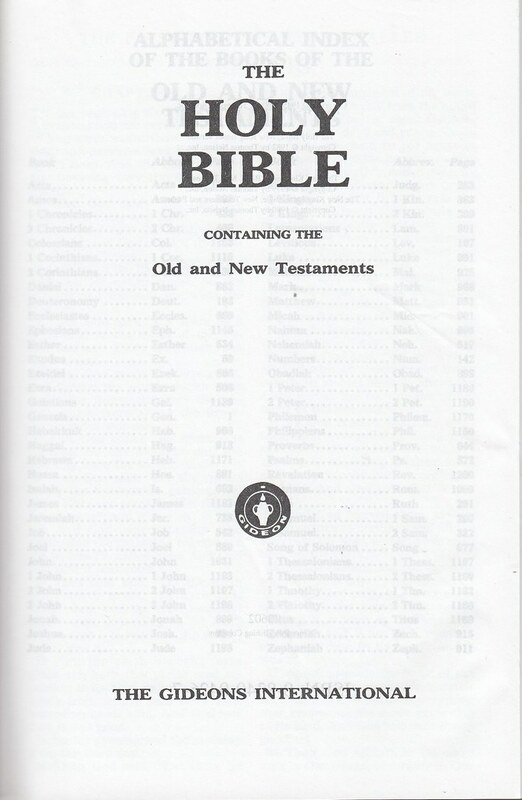 ☞ In 1982 the rest of the OT was completed and the full Bible released; both the texts of the 1979 NT and the 1980 Psalms had again been updated. This task of updating the English involved various kinds of changes to the KJV/AV: word order, grammar, vocabulary, spelling etc. Another departure from the KJV is in the capitalization of pronouns referring to Deity including it's titles of Dignity and Honorary titles of Christ. Noteworthy is that the short lived anglicized "Revised Authorized Version" (1982f) "decapitated" those words again: The R.A.V. retained the original AV- spelling. The underlying basic texts which the KJV/AV translators used were the masoretic text for the OT, and for the NT the 4th revision of Robert Estiennes (Stephanus) NT Graece of 1551 and Theodore Beza's NT Graece of 1598, both of which were revisions of an existing text which Erasmus of Rotterdam had published in Basle in 1516, called "Textus receptus" (Received text). Endless disputing and fierce word battles have been fought over the selection of this Greek variant (e.g. 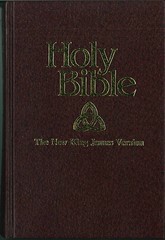 KJV Only- movement). The NKJV revisers with their professed aim "to preserve and improve the purity of the AV/KJV" did not depart from the policy of using this TR, although experts deem it corrupt and inferior to the critical texts having been published since for more than 150 years. 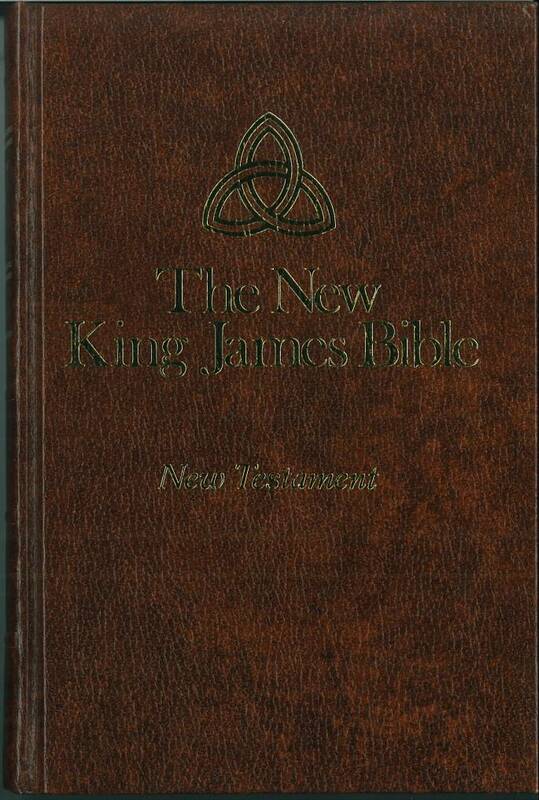 So the NKJV stands - especially in view of the NT - in opposition to it's contemporaries NRSV, NASB, and, to an extend, the NIV. 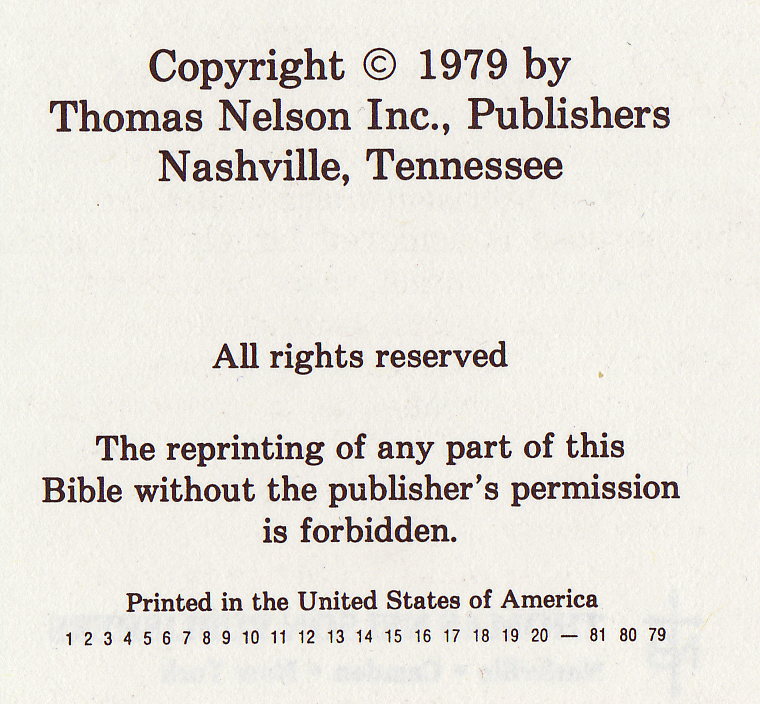 As the Apocrypha, initially translated and incorporated in the AV, were removed soon after the first editions, (included in a few version only or, printed separately,) the NKJV team has not attempted to revise and include them again. 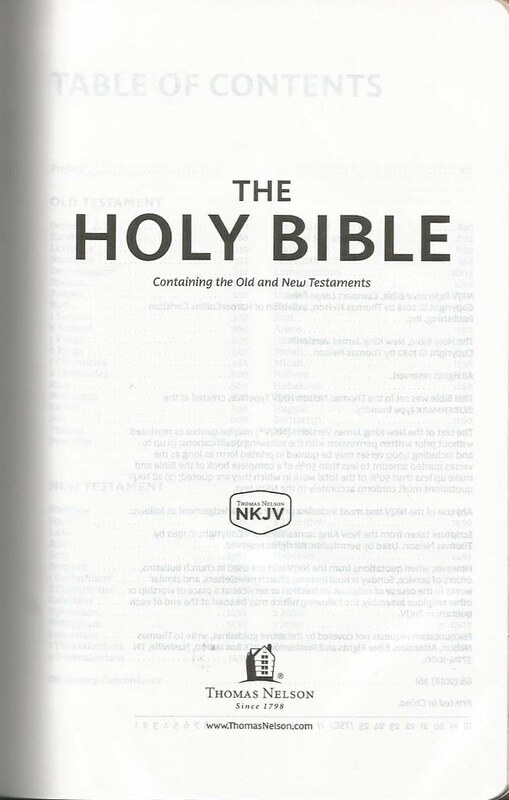 As said above, today's NKJV Bibles have a slightly revised text compared to the one first publication in 1982. This modification was undertaken only two years later in 1984 and can't be discovered from the impressum. One text from the Old Testament for example causing some headaches to traditionalists, is Zechariah 13:6 (1982 "wounds in your hands" vs. 1984 "wounds between your arms"), where some see an alleged prophetic hint to the wounds of the suffering servant (Jesus). 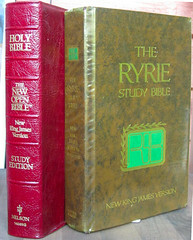 Some Study Bibles published after 1984 however retain the unrevised form, e. g. The Ryrie Study Bible (1985) and The New Open Bible (1990) and The New Open Study Bible (⁴1992). 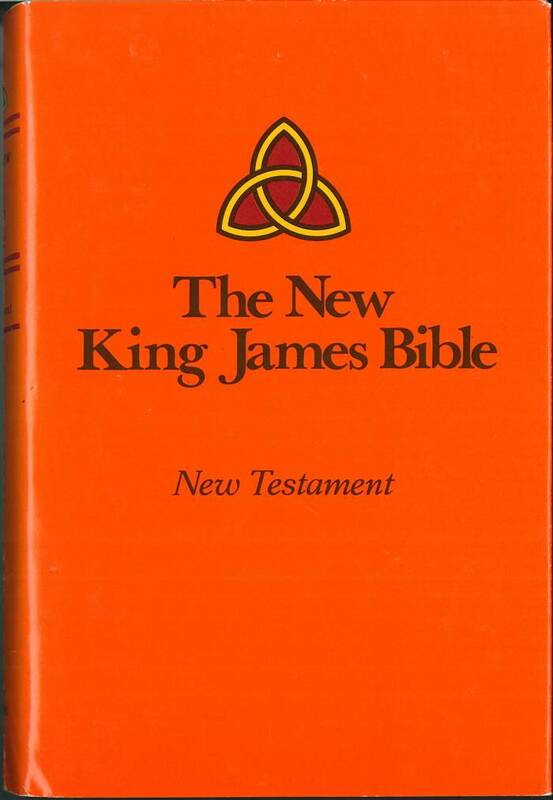 The NKJV ranks among the foremost Bibles where it gained a huge popularity within protestant and evangelical denominations in the U.S.. Roman Catholics reject it as doesn't contain the deuterocanonical books (Apocrypha). For a brief history and peculiarities of the anglicized »Revised Authorised Version« see insert above. 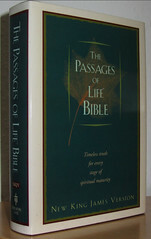 ⓱ The Passages of Life Bible (Dale H. Bourke & L. Barker). Th. 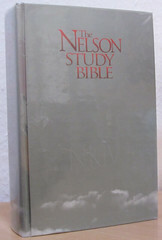 Nelson 1995 ⓲ The New Open Bible, Study Edition Th. Nelson 1990. 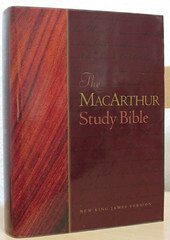 & The Ryrie Study Bible (Charles C. Ryrie). 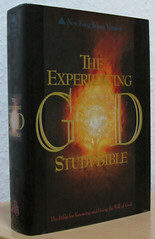 Moody Press 1985 ⓳ The Open Bible, Expanded Ed. Th. 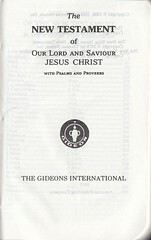 Nelson 1983 & 1985 ⓴ Greek / English Interlinear New Testament: NKJV and the Majority Text. Th. Nelson 1994.